Nottingham-based packaging and printing giant The Wilkins Group has invested more than £1million in a new cutting and creasing machine in a drive to increase capacity. 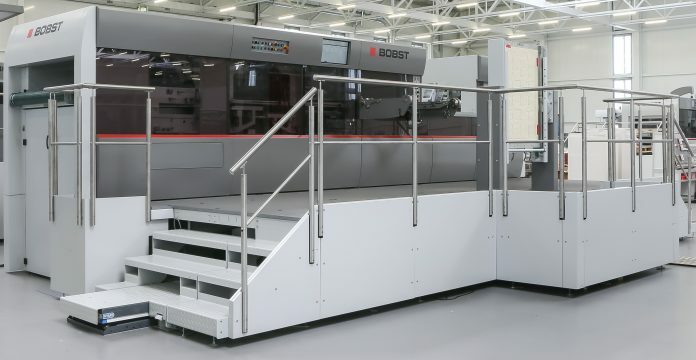 The third-generation global firm, based in Colwick, has bought a BOBST EXPERTCUT PER 106 die-cutting machine. The EXPERTCUT will cut down on process waste and extra tooling costs and allow production to increase by up to 30 percent. Justin Wilkins, a third-generation of the family business, who is sales and marketing director, said: “Most people might have thought it probably wouldn’t be the right time to invest, in terms of the current economic climate. “But our view is, we don’t hold back and we have done the right thing as a business. We can’t let events outside of our control effect the strategic development of the company. “We need the machine to increase capacity, to take us forward to the next phase of our development.